← Narrative and Poetry: What Happened Next? Long before Romanticism, poetry was thought to whisper with a sound which was the sound of Nature purified; poetry murmured with the voices of the Gods who made the world intelligible after the reign of the Titans; then no lesser a classicist than Hölderlin had his poetry be the rumour of the will of the people. Prose is poetry descended to utility, being the tool for poetrys divine disclosures. Poetry needs prose until the world can be poetised, which is not a rendering of the world into reasonable order as Hegel would have it, but a state of beneficence, a benign chaos, about which the Worlds charms and mysteries (Rätsel) swarm freely, where Nature becomes Art, stepping into a state of deeper imaginative concentration. This state is as much as what poetry exerts on nature as what the poetry performs on the spirit. Poetry, for the Romantics of the turn of the century, allowed the listener to listen with an innocent ear and to see world as if it were seen for the first tim. The dream was for this curious and enlightening state of incipience to be sustained before it lapsed into prosa  straight-forwardness. But before Nature reverted to pure allegory (in which prosodic time no longer has a place) there came a series of crises in the twentieth century WWI, the Holocaust, and now Kosovo which made the aspirations of poetry, in Adornos word, barbaric. Although of course poetry continues to be written, it is with continued skill but a diminished audience. Prose poetry and tableau fiction is a genre, or form, or both, traceable to early Romanticism and has a currency in light of this impossibility of poetry. It seems however that its currency is, apart from the devotees and the specialists, mostly ignored in Australia, evident in the strong reluctance to publish it. 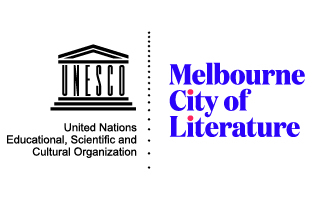 There is a polarity which exists in Australian published works and one can afford to say this categorically between poetry and narrative fiction, with an impoverished mid-way. This is a banality forcing poetry, for the wider public, to appear finer and more elite than it is, or would wish to be. The mid-way between poetry and prose has several names, poetry in prose, tableau fiction, imagistic fiction or prose vignettes. If they are all slightly different, they all share the characteristic of the vignette which is another way of saying that that their commonality is a pictorial quality. This kind of writing is as if enframed, this quality visible on the page itself, floating between the lacunae of blank paper. This form seems to write the picture which is physically absent, to be in a state of continual evocation. This form originated with the German Romantics then reached a climax with French Symbolism. While the short prose piece is evident in Psalms and classical fables, neither takes the liberties of tableau fiction, and not until the German writers of the end of eighteenth century was there anything that resembled a theory of the fragment as such. The German Romantics including Novalis, the Schlegel brothers and the associated circle of Ludwig Tieck, Wilhelm Wackenroder, Clemens Brentano and Friedrich de la Motte Fouqué all stridently defended dreams as an essential component to spiritual life. They found the fragmentary nature of dreams to be a fecund artistic and philosophical resource, an impalpable but instructive library of discontinuities. As a whole, they believed in transcendent spirit (Geist) but, bowing to the pervasive influence of Kant, they were willing to concede that Nature in its pure dynamism and diversity was permanently unknowable. Imagery of imprecision in quite precise, though at times unconventional verse of prose, attempting to communicate the incommunicable of emotion or sensation was a philosophy which came to a climax with French Symbolism. Symbolism, the art of suggestiveness, was a form of oblique expression whose compound of image upon fragmentary image closed into an impalpable, unqualifiable shape which was somehow more real than basic demonstrative sentencing. The importance of the Symbolist poésie en prose was that the narrative element in prose was, at times, better disposed than short poetry in creating contexts to provide the bed for sensory relationships. 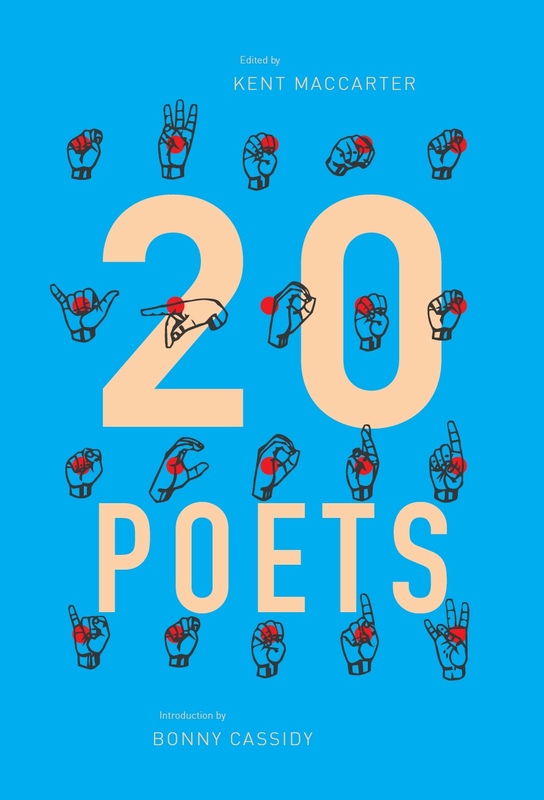 It is also a logical outcome of free verse, and the prose poem in a sense sets a challenge to the limits of various accepted and burgeoning approaches to prose. Outstanding among these written forms in the process of development or refinement was travel writing and writings on works of art, neither of which had anything but a peripheral and informal place a century before. With Goethe and Diderot, that is to say by the time of the mid-to-late eighteenth century, the travel record and meditations on art most noticeably register the subjective emotional input of the writer. It was a cliché for the young and usually well-to-do male dreamer to record his Grand Tour, but what distinguishes Goethes Italienische Reise, apart from the gifts of the writer himself, is the wealth of sensory detail, featured in small block-like fragments, accompanied by the poets sketches. This was more than a diary and more than a personal record from which to craft higher forms of dramatic and lyric verse. (Rilke was to emulate Goethes famous travelogue in a much smaller form in the The Florentine Diary (Das Florenzer Tagebuch) in which there is no clear delineation between observation and meditation). Goethes fine vignettes from Italy are considerably better than a photographic snap-shot, as they record both the event as well as the feelings and digressive thoughts it prompts. When Diderot came to write his Salons of the 1760s it was already customary for the major artistic event to be followed swiftly by cheap volumes or pamphlets explaining and assessing the major paintings. As a matter of course, the writing for these took the form of relatively small block-like description, as the critic described his way through the rooms of the Louvre. Constituting some of his very best writing, Diderots Salons transcend mere pamphleteering; they are classics for the way that depth of their critical insight is coupled by sensitive perception in, at its best, ebullient, vivid prose which can reach a point of electrifying enthusiasm, where the writers claim to objectivity ceases and the vivifying effects of the immediate artistic éclat are revisited. In many cases, with his favourite painters like Vernet and Chardin and with others like Loutherbourg, Diderot would imagine himself, write himself into the landscape or forget that the objects in a still-life (usually by his beloved Chardin) existed on a two-dimensional surface; he attempted to communicate this collapse of life and art which he briefly experienced, and which he experienced more fully in the work of arts absence, which was when he wrote the greater part of these appreciations. Goethes influence never diminished for the young German Romantics, yet their divergence is best captured in the difference between Wilhelm Meister and Novalis Heinrich von Ofterdingen which in many respects presents a response to The Florentine Diary, which he and the Jena Romantics saw as punctuating an epoch. Both are Bildungsromane (Bild means picture and Bildung is learning or education) which recount a series of events which cause the hero to relinquish the naïveté of his former beliefs. 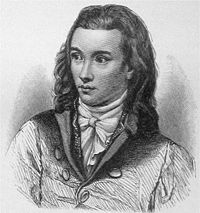 But whereas Wilhem Meister leaves the poetic world for the prosaic one, Novalis Heinrich progressively discovers that the poetic world is the only absolute.1 Neither are written as prose poems but the breakdown of philosophical morality and artistic morality is decisive. This entry was posted in ESSAYS and tagged Adam Geczy, Charles Baudelaire, David Brooks, Denis Diderot, Gérard de Nerval, Johann Wolfgang von Goethe, Marcel Proust, Nicolette Stasko, Novalis. Bookmark the permalink.